Thank you to Stacy Brown for providing me with product in exchange for my honest review. All thoughts are my own. Everyone talks about how fun and magical the holidays are, what most people don't talk about is all the boring times that come with them! I'm sure you remember being a kid, waiting for the adults at the table to finish up an endless conversation. Or waiting for it to be time to take the cookies out of the oven. Waiting is a fact of life, but it's tough to explain that to toddlers. 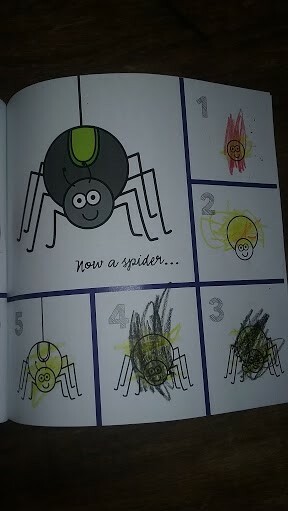 I love having quiet activities with me for when my girls get antsy. 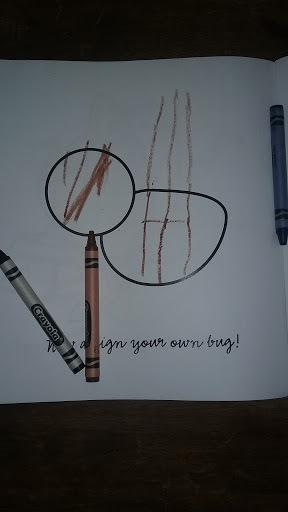 Squirmy Wormy children's books by Stacy Brown are the ultimate activity book for toddlers. Stacy is a mother of two and a fellow blogger. Her line of children's books are inspired by her lifelong love of reading and art projects. "It all started with a cupcake. 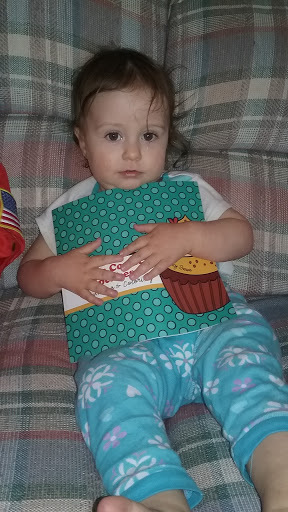 And reading way too many boring books to her toddler! 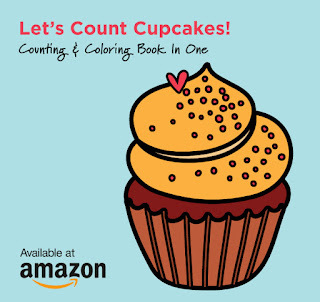 Stacy Brown started creating her counting, coloring and drawing books to combine her love of reading with her love of creative activities." After reading about the Squirmy Wormy books, I couldn't wait to see them. 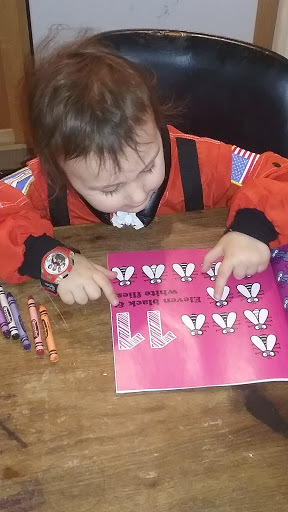 Both reading and coloring are favorite activities at our house, but I never thought to combine the two. What an awesome idea! 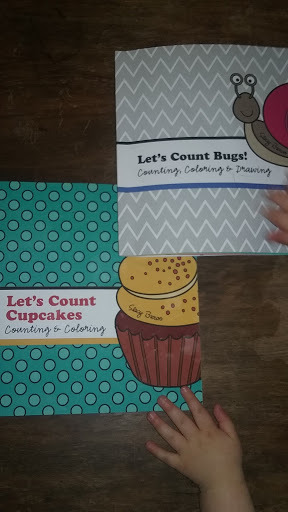 I received a copy of Let's Count Bugs and Let's Count Cupcakes. When they arrived I was impressed by the large illustrations and bold colors, they are eye-catching! The girls were instantly attracted to them. Stacy did a great job creating the Let's Count books! 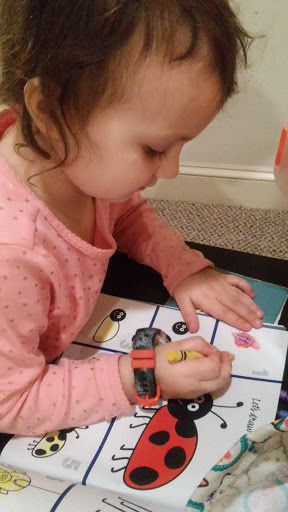 Because of the way the illustrations are done, my 3 year old naturally does the activity intended without anyone reading or telling her what to do. I've had a lot of fun watching how she expresses herself! 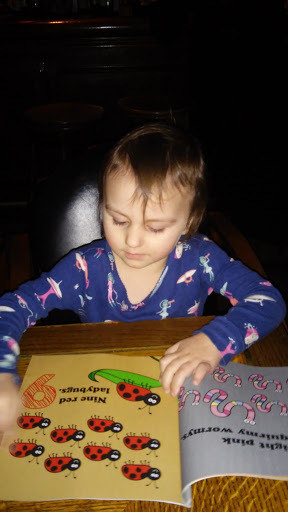 I was worried that my youngest wouldn't be ready for the books, She is 20 months and very hard on her toys. I knew she would put the books through the ultimate test! 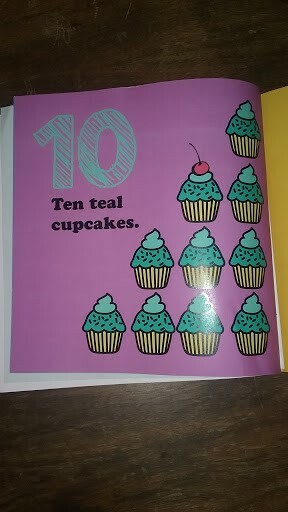 Her copy of Let's Count Cupcakes has held up great after a lot of abuse. 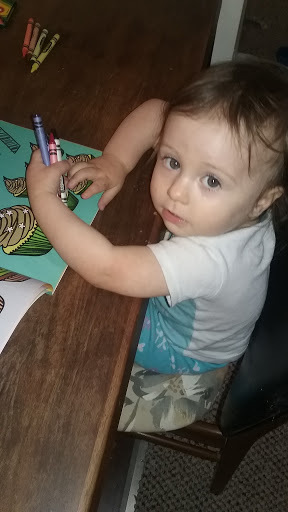 She loves carrying it around the house, looking at the pictures, and doing little scribbles. 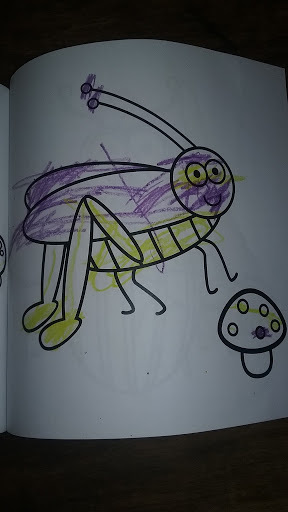 She also likes to look at her sister's creations in Let's Count Bugs. Your child will love learning about numbers, colors and drawing tips in this fun, interactive book and coloring journal. Filled with colorful, eye-catching illustrations and coloring pages too. Your child will feel like they have contributed to the book when they see their drawings in the book - a special memory for you two to share! 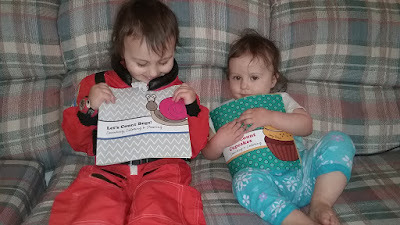 Squirmy Wormy Books By Stacy Brown are the perfect combination of fun, education, and creativity. I love that they are the perfect size to take along in our diaper bag. 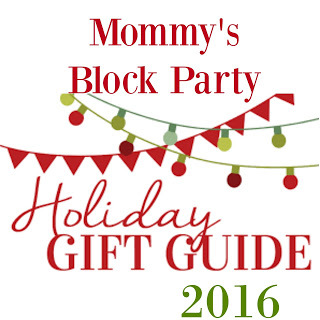 They make a wonderful stocking stuffer for any toddler or pre-schooler. If you plan on visiting any households with young children this holiday season, I'm sure the kids and parents will appreciate receiving one as a special surprise. 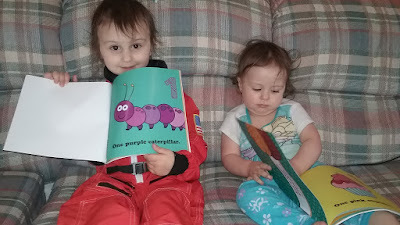 You can find the full collection of Squirmy Wormy Books by Stacy Brown on her Amazon page www.Amazon.com/author/StacyBrownbooks. She currently has six different titles, two that also come in Spanish. Free shipping with an Amazon Prime account. 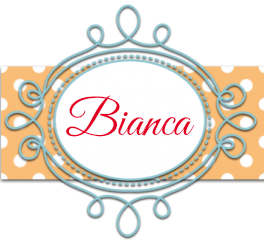 Stacy is offering a special giveaway for our readers! 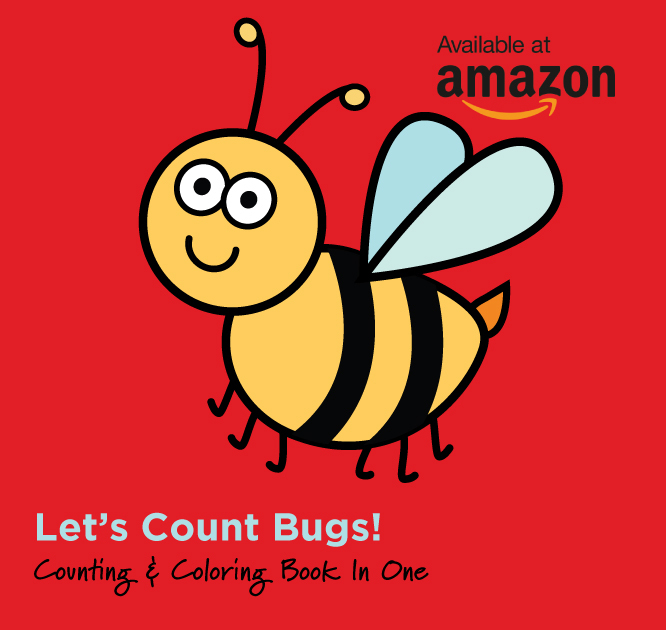 Please enter for your chance to win a set of her two books Let's Count Bugs and Lets Count Cupcakes! Giveaway is open to US residents, 18 and older. No PO Boxes. Use the RC entry form below to enter for your chance to win. MBP is not responsible for prize fulfillment. Please see our policies page for details. Special thanks to Stacy Brown for allowing me to share about her activity books for children. Look for them in our 2016 Holiday Gift Guide!